What it does: It instantly turns your iphone photos into watercolour masterpieces. Why you need it: Because it's BIGFUN! This was my original image (below)! 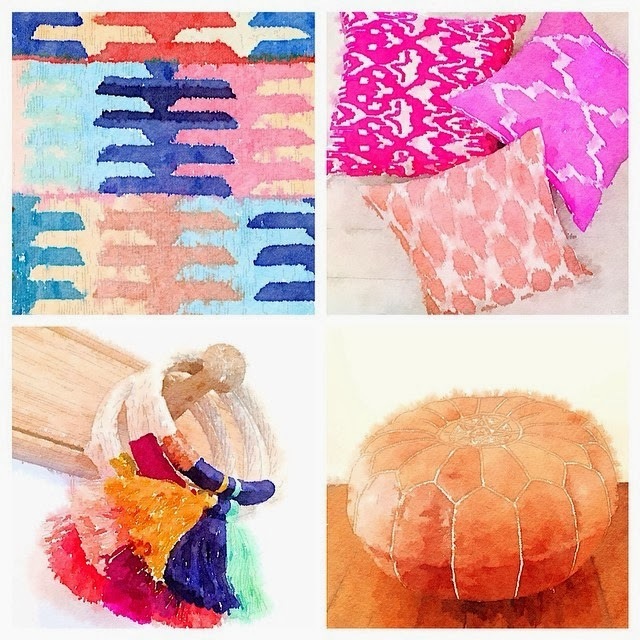 (above, clockwise from top left): Milo Turkish Kilim Rug $999, Cushions $59-$79, Tassel Bracelets in Mint/Mustard/Navy and Maroon/Peach/Neon Orange $49ea, Moroccan Leather Pouffe (Caramel) $199. Just to recap: The App is called WATERLOGUE ($2.99).